The Department of Urology at the Preventicum Diagnostic Clinic deals with the diagnosis and treatment of a wide range of diseases of the urinary system in women and men, incl. benign and malignant diseases of the urological organs. The department is headed by Dr. med. Stephan Buse who is one of the most experienced urologists and a world-renowned specialist in the field of prostate and kidney surgery using the daVinci method (robotics). Women are more likely to suffer from urinary tract infections and bladder problems, while problems with the prostate gland and potency disorders are naturally a problem for males. The specialists of the department mainly offer medical services in the diagnosis and treatment of urinary tract cancer, bladder cancer, prostate cancer, kidney tumors, testosterone deficiency. In addition, there are provided preventive examinations for men. 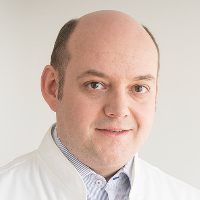 Since August 2015, Dr. Stephan Buse has been the Chief Physician of the Department of Urology and Urologic Oncology at the Alfried Krupp Hospital in Essen and provides counseling services at the Preventicum Clinic. Dr. Buse is an internationally recognized specialist in urology and urologic oncology. Also, he is the leading specialist in robotic surgery and one of the recognized specialists in minimally invasive surgery at the Alfried Krupp Hospital in Essen. In addition to laparoscopic and minimally invasive procedures, the doctor specializes in laser prostate surgery (Greenlight laser and Thulium laser), the so-called daVinci (robotic surgery) and precise reconstructive surgery. Dr. Buse is a well-known and recognized advisor in robotic surgery (daVinci). He trains surgeons and their teams from many national and international clinics. Also, the doctor is a member of numerous professional societies, such as the German Society of Urology, the European Association of Urology, the German Society of Robotic Surgery and the Society of Robotic Surgeons.